A new cuisine’s been brought ashore by a culinary typhoon that’s hit the city. Typhoon Shelter, a new oriental-themed restaurant in the heart of Mumbai is stirring the pot with its menu created by celebrity chef Christian Yang. The concept was inspired by the typhoon shelters in Hong Kong, man-made covers used by fishermen to shield their boats from typhoons. With Chinese booths in each corner of the restaurant and a ceiling that shows a barrage of different types of skies (warm tones to evening pinks) and three different types of seating – booths, center tables and high-chairs, there’s a lot to look forward to and experience when you’ve stepped out here for a good ‘ol chomp. The menu, curated by Hong Kong-based celebrity chef Christian Yang, is unique and one that you should really look forward to. The menu consists of dim sums, small plates, big plates and royal staples. 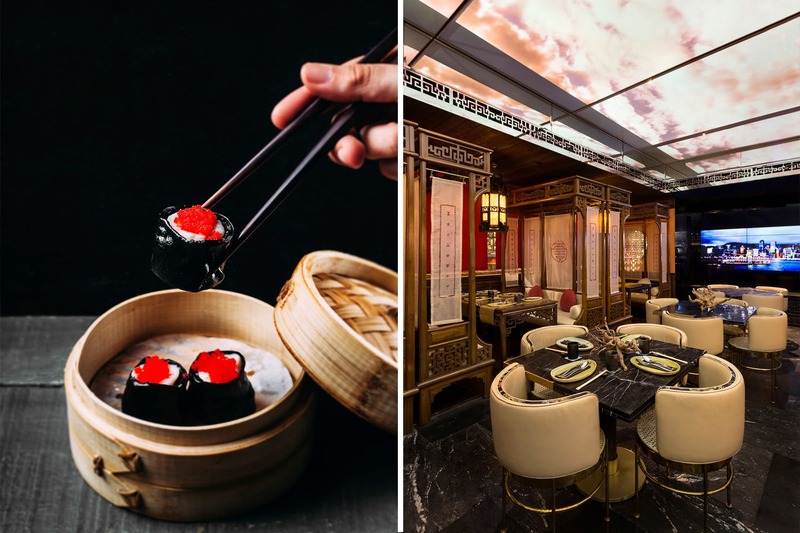 Highlights of the menu include signature dishes like the Typhoon Shelter Spicy Crab, Tuna Tartar, Tender Nanjing Duck as well as Hong Kong classics “Bo Lo Bao” or Pineapple Bun, Taro Nest, Hakka Braised Pork belly, Squidink Dumplings and DanDan Noodles. Desserts at the Typhoon Shelter have been created by dessert chef Solanki Roy (of Gaggan Bangkok fame) with oriental flavours with a contemporary approach. All eight-plated desserts have their own character, like the Zen (with Edible Stones of Caramel Vanilla and Hazelnut Crunch), Mandarin Orange (Orange, Vanilla, Chocolate, Layered cake ensconced in an orange chocolate fruit), Colour Comb (a tribute to beautiful Chinese women wearing colour combs in their hair along with their Cheongsam) and Luna (Mango sticky rice pudding with a hint of caramel stuffed into a sugar ball). Drooling yet? With such cosy Oriental feels and cuisine that’s ready to blow your mind, but this typhoon is totally welcome.